Traverse City Fire Lt. James Smielewski sprays water on a smoldering file cabinet outside the scene of a Friday morning house fire on Veteran's Drive. 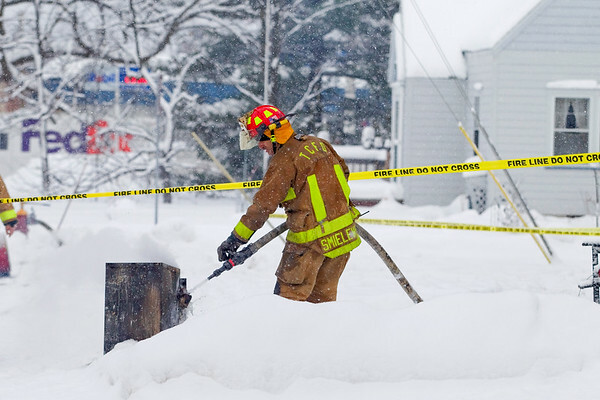 Firefighters responded to the call shortly after 4 a.m. to a fire in a duplex on the corner of Veteran's Drive and Fifteenth Street in Traverse City. One person was found dead at the scene.